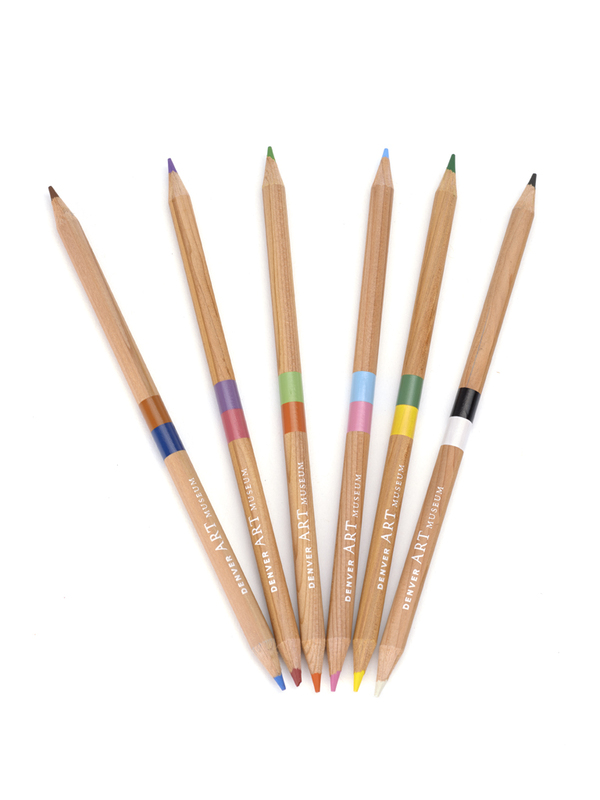 Colored pencil set with the Denver Art Museum in white. 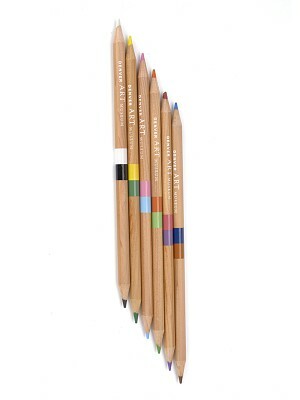 Set of six colored pencils create 12 different colors and come in a transparent box. Pencils measure 7" x 1.78 inches each. Great little set for traveling!